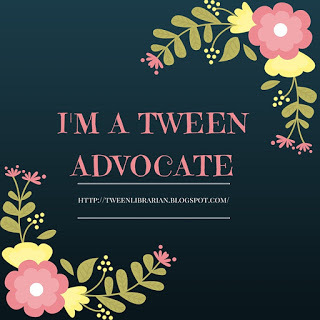 Tween Tuesday is a weekly meme hosted at GreenBeanTeenQueen to highlight great books for tweens. Join the fun and add your link below! About the Book: In the world of Quill, when you turn 13 you are either kept or sent to the Death Farm. Alex has always known that he was an Unwanted and that his twin brother, Aaron, was Wanted. When Alex arrives at the death farm expecting his end, he discovers a place called Artime. The leader, Mr. Today, explains that the Unwanteds are all creative children and will learn magic using music and art. But twins are dangerous to be seperated and Alex still feels a pull to his brother in Quill. A battle between Artime and Quill is brewing and both sides must learn to protect themselves, including brother fighting against brother. GreenBeanTeenQueen Says: I have seen many reviews and blurbs for this book describing it as The Hunger Games meets Harry Potter. The book is very much a dystopian Harry Potter and there are many similarities that made it seem like the story was borrowing a bit too much from Harry Potter's world. (A mysterious school, one friends who is very smart and excels in all her classes, a grumpy enemy, a "white wizard" type leader/mentor, mysterious creatures) I know these are all tropes of middle grade fantasy, so maybe I shouldn't be too hard on these plot devices. What I really loved was the premise that A group of creative kids are purged from a society because creativity is "unwanted" only to discover a whole new world where creativity equals magic. Not only are they wanted here but they are needed because they have power. As a kid who was interested in the arts than anything else, I felt that this was especially empowering to young readers. I didn't really connect with any of the characters, which made the book a bit let interesting to me. This might have been due to the audiobook narrator, who was good, but also read in a bit of a deep, monotone at times. (I really liked him as a narrator, but his voice was very soothing and easy to listen to, I just would have liked more distinct character voices.) Alex was the most annoying to me. From the beginning, I got the impression that Aaron could care less about his twin, yet Alex is always wondering about Aaron and wanting to help him. I kept wanting to tell him to get over it already-his brother was mean and didn't care that Alex was being sent away to begin with so he should stop trying to risk things to contact him! I do think tween readers will connect with Alex though and maybe find him less frustrating than I did. I also felt that none of the other characters were fleshed out that well-I never really cared about any of them. The story gets a bit dark, but it's no darker than other middle grade dystopian like Among the Hidden or Gregor the Overlander. Even though it wasn't really for me, I think tweens will eat it up. 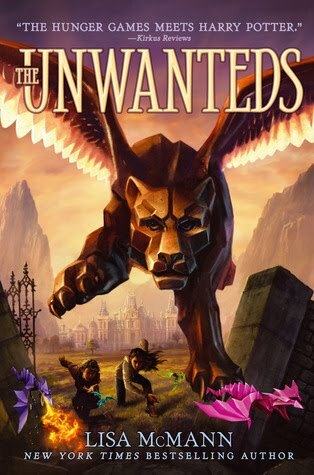 A good book if you have fantasy or dystopian fans who are looking for a new series. Thanks for the review. I just bought this one for my library. I think kids will enjoy it. I really enjoyed this book, especially the unique premise of being creative = magic, like you explained. I had a hard time connecting with the characters because the book is written in third person. Plus, they weren't really 3D, I felt they were kinda flatish. I really loved the story though and look forward to reading the next books. This book wasn't really for me either. But I agree tweens will love it! Very balanced review, I think. I wanted to love this book. I did not hate it, it just did not hit me as special. I linked up my adoration of Bigger Than A Breadbox! I just finished this and really enjoyed it. I think because there were a number of POV shifts that it may have been harder for you to get close to the characters.